I love ‘day in the life’ posts. For selfish reasons mostly. I like to reread them months/years later because they provide a glimpse into what life was like during a particular point in time. It’s interesting to see how my days have evolved over the years. As you will see with this post, life is certainly different now! I should start by sharing that my mom flew back to Atlanta this past weekend. She stayed with us for over 7 weeks, and I’m so grateful for everything she did for us and Kaiden. I don’t know what we would’ve done without her help. More than anything, it was so nice to watch her create a special bond with Kaiden! As sad as I was to see her go, Vishnu and I both felt ready to be ‘on our own.’ We’re excited to start life as a family of three. My mom shared that she feels we’re more than ready as well which ultimately made me feel really good! The day officially starts at 3 am. Kaiden’s up and hungry, and I need to pump. Vishnu gets up with me and feeds Kaiden. While a 3 am wake up call is a little rough, it is nice to be up together. Whenever this is the case, Vishnu and I find ourselves having some great conversations. We all eventually go back to sleep. I wake up…errr…am woken up at 5:45 by Mr. K. He’s hungry again and a little fussy, so this feed is a bit rough. Eventually, Kaiden takes a little cat nap in the living room while I help Vishnu with his breakfast. Before we know it, he’s up and hungry again. Feeding him would mean pushing my next pumping session back. Vishnu decides to skip a morning lecture (they don’t take attendance!) and help feed K so I can pump and eat breakfast. Dad (and husband) of the year over here! Once Vishnu leaves, Kaiden and I play for a little bit. He’s really into just listening to us talk these days, so I make up stories and sing to him. A crowd favorite right now is ‘The Wheels on the Bus.’ Once he starts to look a little drowsy, I try putting him down for a nap, but he’s not having it. What he does like, however, is sleeping in mama’s arms. Hey, I’ll take it! We snuggle on the couch until he’s up again. 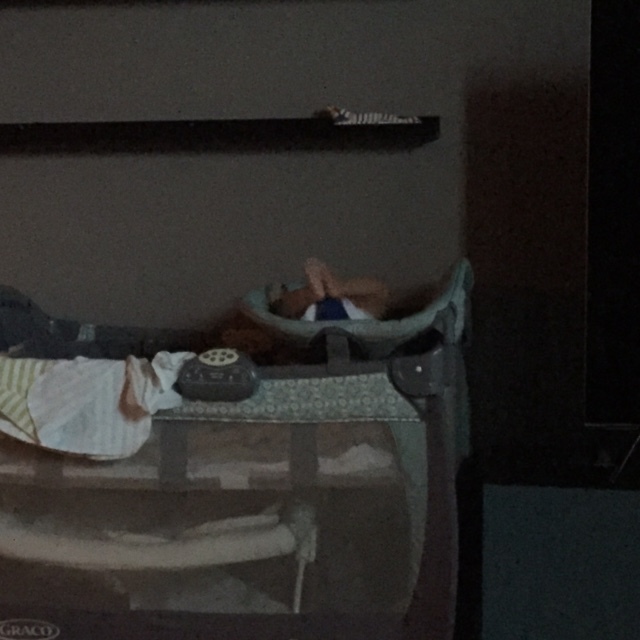 We go through the sequence a few more times…play, feed, diaper change, [cat] nap, repeat…until Vishnu comes home. While Kaiden naps, I try to get things done around the house – pump, dishes, laundry, make phone calls (and not the fun kind), work out, eat lunch, etc. 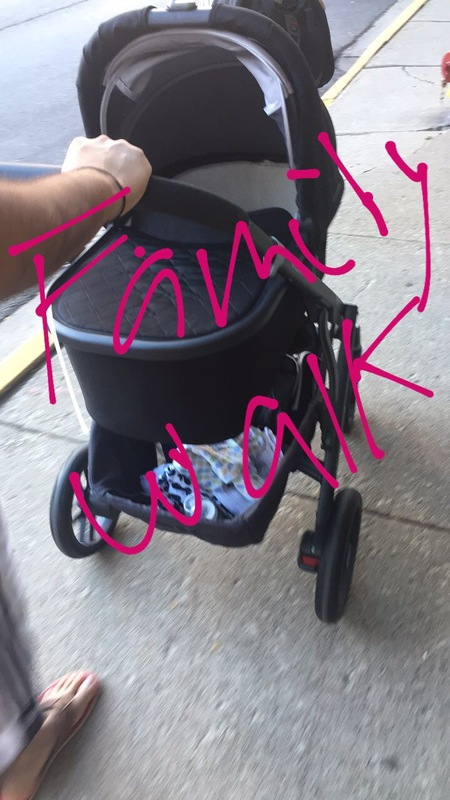 When he comes home, Vishnu suggests we go on a family walk, so the three of us gear up and head out the door for about 45 minutes. Feels good to get some fresh air! 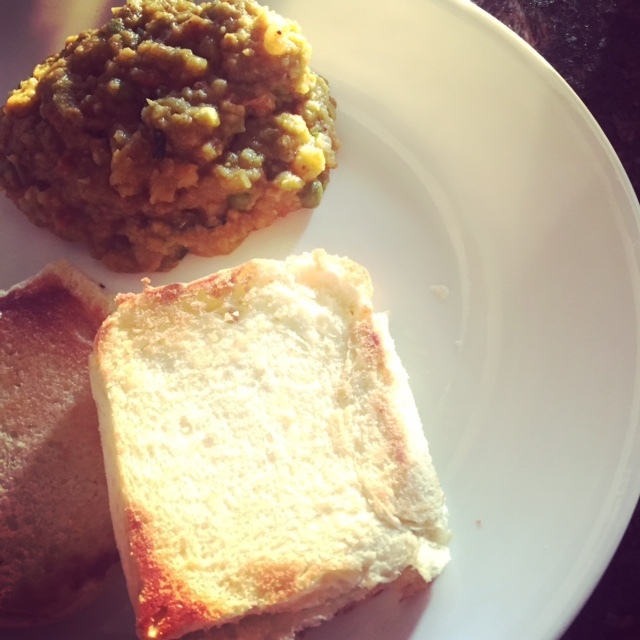 We’re all starving upon arriving home, so I heat up some of my mom’s pav bhaji (thick vegetable curry with bread) while Vishnu feeds Kaiden. We eat in shifts because the little guy wants our attention. Again, I won’t say no to that! 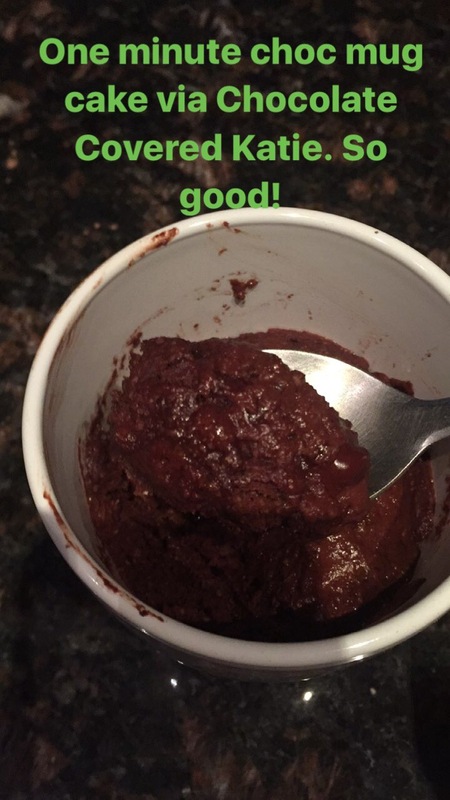 Once Kaiden finally goes down (took two separate tries), I go back to the kitchen to make some dessert – Chocolate Covered Katie‘s One Minute Mug Cake. It’s our go to healthyish dessert! And that, in a nutshell, is how most of our days look these days. I can’t wait to look back on this post in a few months and note all the changes. Because in the world of babies, things change by the day! Ohh I remember all of this! Matteo preferred my arms over solo napping, too. The sollybaby wrap saved me! Thanks for the rec, I’ll definitely look into that! im sure these type of posts will be sooo valuable forever!